Brodsky qua cái nhìn của những người cùng thời với ông. Access to Joseph Brodsky's private papers has been blocked for fifty years following his death, which takes us to January 2046. For one thing, this means that if anyone is still interested, an authoritatively documented biography will be undertaken by someone who did not live in Brodsky's time, much less know him personally. Meanwhile, those who did know him have not stood still: in particular, the late Lev Loseff’s biography of his close friend (reviewed by Andrew Kahn in the TLS, May 4, 2007) should be published in English before long; it pointedly concentrates on the literary. For the vast majority who do not share Loseff’s old-fashioned sense of decorum and want the life as well as the lines, there is plenty to be going on with. For a f start, there is more on record by Brodsky d himself, particularly during his final twenty I years, than by any other Russian poet; he subjected himself to interviews and videos with the same gusto he let loose on everything else that interested him. The main reason (for the abundance of testimony from those who knew Brodsky, though, is Valentina Polukhina's indefatigable tracking of the poet and everything concerning him, sustained ( now for something like thirty years. Her dedication has done more than anything else to keep Brodsky's poetry and his memory current outside and inside Russia; that his estate puts obstacles in the way of her of all people baffling in its short-sightedness. Polukhina's latest publication has a somewhat complicated history. The first volume of Brodsky Through the Eyes of his Contemporaries is a slightly augmented reprint, under the same title, of a book that was originally published in English in 1992. I acclaimed it then as much more than just a study of Brodsky. For those without the language it remains the best available introduction to the way contemporary Russian poets think about themselves and what they do. Not surprisingly, Brodsky's major Leningrad contemporaries - Alexander Kushner, Loseff, Evgeny Rein, and Vladimir Uflyand in particular - dominate the book, but there is also some valuable testimony from Russian poets who back then were in the middle or younger generation; the non-Russians include Czeslaw Milosz. The original interviews were conducted between 1987 and 1991, when Brodsky was still with us. The two newcomers, both interviewed in 2003, are David Shraer-Petrov, doomed to be remembered as an also-ran to Akhmatova's orphans, and the poet and historian Peter Viereck (1916-2006), Brodsky's sometime colleague at Mount Holyoke, who made three state-sponsored visits to the USSR in the very early 1960s. Volume Two first appeared in Russian in 2006. As with the first volume, the new English text is not wholly a translation, since some of the interviews were originally conducted in English. It too has been slightly augmented, and is accordingly subtitled "1996-2008". The book contains forty interviews, divided into four groups partly according to the nationality and background of the interviewees; all the women, though, are segregated in the terem of Part Two, an arrangement in accord with Brodsky's own compartmentalized thinking in these matters. Alongside Russian and anglophone poets we now find a cosmopolitan crowd of lovers, friends, relatives, acquaintances, former students, publishers and scholars. The poets Lev Loseff, Natalya Gorbanevskaya and Derek Walcott appear in both volumes, to very good effect. For the most part, these interviews come over as intense contests, however affable on the surface. Polukhina usually leads off with a few questions about the interviewees themselves, and invites the poets among them to conclude with an apposite poem of their own; but in the body of almost every interview she hammers away at the same set of cardinal questions that Brodsky's life and work raise, especially for his fellow Russians. Did he addressing of God in his poetry is, to my mind, a way of primarily addressing some higher form of reason beyond the muse". Mark Strand saw something different again: "At heart Joseph was a pagan". Delicate questions of religious faith such as these are addressed with remorseless directness, and in this context Polukhina' s enterprise as a whole is particularly meritorious for the absence of hagiography - with the irresistible exception of an outrageous remark by Tatiana Shcherbina: "Had I met Christ, it might have left a similar impression on me". "He stole other people's love in order to hide his insecurity". Derek Walcott puts the two together: "Joseph didn't make a distinction between his calling and his life. He was the best example I know of someone being a poet in the professional sense". Seldom do interviews contain less trivia than these. Predictably, the answers to Polukhina's questions sometimes characterize the respondent as much as the subject. This applies particularly to the poets. Seamus Heaney is rather orotund: "He told me once that Yeats's rhymes left something to be desired and at that stage I felt he was too far gone in certitude to be educable". Les Murray is the opposite: "I knew as much as Brodsky did, so we got along fine". Readers should avoid privileging the words of the celebrities, though, and instead take care not to miss the oblique, sometimes disenchanted takes of the non-literary people whose paths crossed with Brodsky's, such as the geologist Genrikh Shteinberg, the painter Oleg Tselkov, the translator and former engineer Viktor Golyshev, and particularly the journalist Annie Epelboin, who makes a devastating observation about Brodsky's defiant ignorance of French: "If he did not understand something, then he was convinced that there was nothing interesting to be found there". The most moving and persuasive general views of Brodsky come from non-Russians: the Lithuanian poet Tomas Venclova, the Swedish academic Bengt Jangfeld, and the Polish academic psychologist Zofia Kapuscinska, all three of them translators of Brodsky into their native languages. They are eventually overtaken by Alan Myers, the best translator of Brodsky's poetry into English, and the most thoughtful and fair-minded of the people who knew him as a friend, capable of forgiving the poet his trespasses ("I was only too glad to be the handmaid of genius, and to be taken for granted"). Daniel Weissbort, Peter France, and Michael Scammell all have precious first-hand comments about translating Brodsky into English and dealing with the consequences. Mikhail Heifetz, who served six years in prison for collecting Brodsky's poetry, sums up: "Joseph was a man who realized himself. That for me is the main lesson of his life. What more does a man need?". As far as I know, almost all the people who knew Brodsky really well have now taken the opportunity offered by Valentina Polukhina to have their say; others have published their own memoirs elsewhere. There is no doubt more to come. 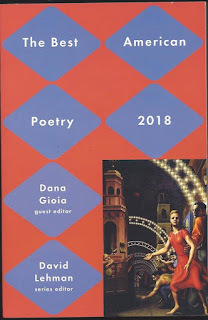 I suspect, though, that this welter of information, while often fascinating as human documentation, does not really help when it comes to tackling any specific poem by Brodsky, and may even act as a deterrent to careful reading, offering ready-made conclusions in lieu of sequential analysis. Speaking of brittle egos, since I am referred to here as an envious person who "trades in caricature and cliché, someone whose small-mindedness is reflected in their own readiness to lower 'the plane of regard''', I had better be very careful about what else I have to say, but here goes. For me these books raise some very thorny questions of translation and linguistic propriety. On the positive side, Robert Reid deserves a medal for his steadfast contribution here and elsewhere to the translation of Russian prose and poetry into English; he deals bravely with the peculiar obscurantist codes often resorted to by Russian poets, especially when they are speaking rather than writing. Brodsky's example of self-translation and writing in English, though, seems to have licensed some other Russians to follow suit when they must know they lack his talent and his brains, not to mention the top-class professional assistance that Susan Sontag and others refer to here. There seems to be a working assumption that the notorious globalization and diversification of current English means that anything is permitted. The baleful consequences are all over these books. The introductions and the annotation to the interviews are particularly embarrassing; they will surely frustrate readers who cannot back-translate into Russian and at best amuse those who can and constantly have to. There is more, unfortunately: these books do not appear to have been styled or sub-edited by anybody, let alone a native speaker of English; notwithstanding all the merits of what they have to say, they will stand as a disgrace to the publisher for the way they say it. Một cú thật ngoạn mục! Server Tin Văn cho biết, một tay Nga Xô, link một bài viết về Brodsky mà Gấu này scan từ một tờ TLS [bỏ tiền ra mua nhé!]. Nhưng mà, Niên Xô nàm sao mà đọc được Gấu Mít? Thư sau đây, là của người phụ trách kho tàng Brodsky [Ann Kjellberg, Executor and Trustee, Estate of Joseph Brodsky] viết cho tờ TLS, để đưa ra hai cái còm, về bài điểm sách của tờ này, Brodsky dưới cái nhìn của những người cùng thời với ông. Bài điểm này, cái bà Ann này, đọc trên Tin Văn. Thế mới thú. Lại nhớ đến Đào quân, và bài viết của ông, khi ông điểm cuốn sách của một tác giả mũi lõ, và tay này bèn viết thư không phải để cám ơn, mà để yêu cầu sửa cái hình của dịch giả, mà Đào quân lầm là hình tác giả! I would like to offer two comments on your June 12 review of Valentina Polukhina's "Brodsky Through the Eyes of His Contemporaries." The reviewer, Gerald Smith, writes, "Access to Joseph Brodsky's private papers has been blocked for fifty years following his death." This is not precisely correct. In 1995, Brodsky himself closed certain private papers held by the National Library of St. Petersburg, which he had been unaware were publicly available there, for forty years. The remainder of that archive, consisting of thousands of pages of manuscripts, notebooks, and other documents left behind by Brodsky upon his emigration in 1972, is open to scholars. The Beinecke Rare Book and Manuscript Library in New Haven, Connecticut, holds papers in Brodsky's possession at the time of his death, including those he preserved after his emigration and a number that he saved or accumulated from before his emigration. Except for a few pages closed for non-biographical reasons, these are entirely open to scholars, again thousands of pages. These terms are available to any scholar who inquires about access to the papers. The Brodsky archives are being actively studied and have been cited in numerous scholarly settings and are currently being analyzed by a team of textologists for a multi-volume, bilingual scholarly collection of Brodsky's work. Second, Professor Smith writes, "That his estate puts obstacles in the way of [Professor Polukhina] of all people is baffling." The Estate of Joseph Brodsky has a policy of not interfering with scholarly research. The only source I can identify for this remark is that Brodsky himself, a well known skeptic about the value of literary biography, asked that a request be distributed to his friends and relatives after his death that they not participate in biographical research. (Indeed, he wrote to Professor Polukhina herself in 1988: "I am willing to help you in any way I can with regard to your textological studies—in so far as they touch upon one or another of my texts. As for my life, the physical existence of my person that is, I would ask you and all those who are interested in my work, to leave it in peace.") We distributed this message as requested, but leave to its recipients how to respond to it, and we do not undertake to interpret or enforce it. I apologize for wearying non-specialists with such arcana, but felt I should state the matter clearly to avoid confusion. Note: Câu của Brodsky viết về ông, về cái xác thân là cái bị thịt hôi thối, như Phật nói, mà chẳng hách sao? Ông thi sỡi có yêu Đất Mẹ? Ông tình nguyện đi hay ông là một gã lưu vong? Tại sao ông chẳng bao giờ trở về, ngay cả để viếng thăm? Ông là một tín hữu Ky tô, theo bất cứ nghĩa nào của từ này? Là một tên Do Thái có nghĩa gì không, đối với ông? Ông vẫn là và luôn là một nhà thơ Nga, hay thực sự, là một người Nga, trong bất cứ một ý nghĩa nào có thể chấp nhận được của từ này? Tại sao ông rao giảng chuyện thờ phụng ngôn ngữ, và theo đường hướng nào ông thờ phụng nó? Tại sao ông lèm bèm hoài về ‘đế quốc’? Tại sao ông cứ cố tình tự mình dịch thơ mình qua tiếng Anh, và kết quả của cái việc dịch đó có khá không? Cùng với sự sợ hãi, sự kính trọng, và một tình yêu chân thực, những cuốn sách này còn chứa đựng một số những nhận xét thật tới, chưa từng có, về Brodsky, về cả hai, con người và nhà thơ. Về nhà thơ, có nhận xét của Pyotr Vail: “Pushkin là tất cả về, như thế nào, chúng ta muốn là; Brodsky là tất cả về, như thế nào, chúng ta thực sự là”. Về con người, Annelisa Allleva đưa ra những nhận xét ‘gay gắt, nhức nhối’, thí dụ, “Ông ta ăn cắp tình yêu của nhân dân để giấu diếm sự bất an của mình”. Joseph [Huỳnh Văn] Brodsky đếch thèm để ý đến sự tách biệt giữa thiên hướng nhà thơ và đời của ông. Ông là thí dụ đẹp nhất mà tôi biết về một người, là một nhà thơ, theo một cái nghĩa nhà nghề của từ này. "I was only too glad to be the handmaid of genius, and to be taken for granted": Tớ thật hạnh phúc được là người hầu của thiên tài, và được đảm bảo như vậy. Brodsky phán. Joseph Brodsky làm thơ ở quãng đời đẹp nhất của ông, và lịch sử việc in thơ ông phản ánh hệ thống chính trị mà ông trưởng thành từ đó. Những cuốn thơ đầu của ông, do bạn bè hoặc những người yêu thơ ông ở Tây Phương, tuyển chọn và xuất bản. Chúng đều bị cấm đọc tại quê hương ông. Tại Liên Bang Xô Viết, tập thơ đầu của ông chỉ được xuất bản sau khi ông được Nobel. Sau khi chế độ độc tài Cộng Sản sụp đổ vào năm 1991, thơ ông mới được xuất bản đầy đủ [in full scale]. Một trong những hậu quả của tư tưởng của ông, rằng, một con người chỉ có đi, khởi từ đầu một con đường một chiều, là, ông chẳng bao giờ trở về quê hương. Cách ông suy nghĩ, và hành động, là trực tuyến, thẳng một lèo, như người Việt mình nói. Từ tuổi ba mươi hai, ông đã là một “nomad” [một tên lang thang, một kẻ du mục] - một người hùng của Virgil, bị số phận trù ẻo: Đi mà đừng bao giờ mong, có một ngày trở về. Khi được hỏi tại sao không trở về, ông nói, ông không muốn thăm quê hương như một khách du lịch. Hay là, ông không muốn về thăm quê hương mà lại phải xin xỏ cái đám khốn kiếp đó. Cho dù là đám khốn kiếp đó ngỏ lời mời. Cái phần đẹp nhất của tôi, thì đã ở đó. Có em độ lượng với thời gian. Có bờ ngực dậy cho tôi thở. Ui chao, cái phần đẹp nhất của Gấu thì đã ở đó rồi.